Tomorrow I'm turning up outside obfuscator's house. He is unaware at this time..
Today.. I decided to pop into Off Topic for the first time in a long time. Apart from that.. Sorted my banks, did some savings, cooked some food, tidied the house, yadda yadda. It's all good. WHY?! 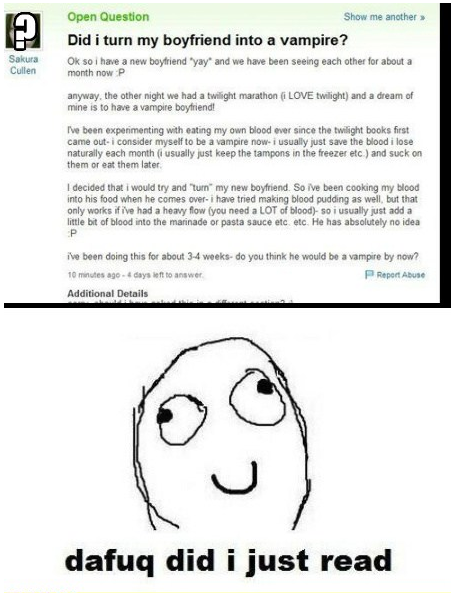 Thank God I don't know any Twilight fangirls irl..